Great addition to any jeans wardrobe. You can never have too many jeans right?. Keep for yourself or give as a gift. Tuck High Rise Shorts. Soft Denim Lift. Light Wash Blue Stretch. 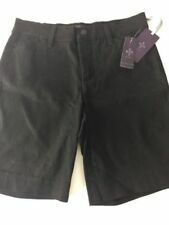 NWT Not Your Daughters Jeans Purple Label Lift Tuck Dark Denim Stretch Walking Bermuda Shorts. 5 pocket classic styling. 80% cotton, 19% polyester & 1% Spandex. Made in USA. Inseam 13". Waist is 33". 80% cotton 19% polyester 1% Spandex;. 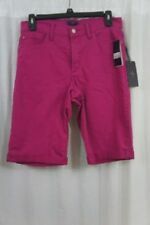 Nydj Not Your Daughters Jeans Shorts Nwt Size 14w. Condition is New with tags. Shipped with USPS Priority Mail. NYDJ Not Your Daughter's Jeans Denim Bermuda Walking Shorts. 80% cotton, 19% polyester, 1% spandex. Dark navy blue. waist: 16 1/2". Back has 2 pockets. Zip fly with button closure. Has a small spot shown in last 2 photos next to penny. No other flaws. Machine wash, line dry. Front Rise: 10". Five pocket style. Leg Opening: 9". 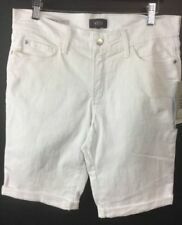 Women's NYDJ Not Your Daughters Jeans Light Stretch Bermuda Jean Shorts sz. 4. Condition is Pre-owned. Shipped with USPS Priority Mail. NYDJ Not Your Daughters Jeans Shorts. Size - 14P Petite. Type - Avery, Cuffed, Cotton Elastane Blend. Care -Machine Wash Cold, Line Dry. Color - Optic White. Material - Cotton Blend - Stretch - 98 % Cotton / 2% Elastane. Tummy and lift the rear. NYDJ's exclusive Lift Tuck Technology®. Designed with exclusive crisscross fabric panels to flatten the. Cuffed Bermuda Shorts. Lift Tuck. Soft, supple fabric. 5 Pockets w/ a zipper fly & 1 button closure. NYDJ Not Your Daughters Jeans Shorts. Type - Christy, Clay, Cotton Elastane Blend, Knee Length. Size - 24W Plus. Color - Clay. Fit - Original Slimming. Type Shorts. Material Cotton,Spandex. Discover daily new arrivals in all seasons, sizes and styles that you can't find anywhere else. All details of the product have been included. Item Details. Color Blue/Navy. Material: 53% Linen, 45% Viscose, 2% Elastane. -Rise: 11 in. Type Shorts. Material Cotton,Spandex. Color Beige. Discover daily new arrivals in all seasons, sizes and styles that you can't find anywhere else. All details of the product have been included. Item Details. The jeans are made of 98% rayon and 2% spandex. NYDJ Shorts. Style Christy. 2 % Elastane. NYDJ Kathleen Black Stretch Denim Casual Walking ShortsBlack, Women's Size 12. We encourage you to use the zoom feature on our photos and we think you'll agree that this is a beautiful pair of shorts that will make an excellent addition to your wardrobe. Rise - 11" From seam in crotch to top front of pant. 100% Authentic Nydj. Style: Denim. Material: 80% Cotton 19% Polyester 1% Elastane. Color: Blue. UPC: 889982404194. Model: M10Z1684. Material: 61% Cotton, 23% Polyester, 5% Elastane. -Rise: 11 in. 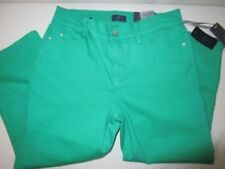 NWOT NYDJ AVERY PLUS SZE 22 CUFFED DENIM SLIMMING SHORT! PLUS SIZE 22. 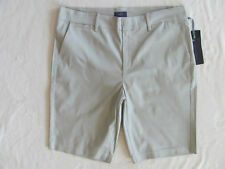 SLIMMING CUT, 5 POCKETS, 18” TOTAL LENGTH, 6” INSEAM, COLOR IS OLIVE GREEN. NYDJ $69 Womens New 1613 Beige Casual Short 14. Condition is New with tags. Shipped with USPS Priority Mail. Women’s NYDJ 12 Beige Khaki Shorts. Inseam 12”. EUC! Super nice! Waist 32” when flat. Inseam 12”. Rise 10”. Leg openings 20” around. Hips 20.5” across the front just below the zipper. 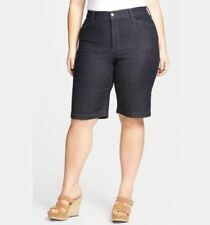 This is a great pair of comfort waist shorts from NYDJ. Machine wash. Slip-on style. I want you to be totally satisfied with your experience and I will do everything I can to make that happen. Excellent Condition. Color: Taupe. Style: Casual. inventory changes daily. Size Type: Regular. Pattern: Printed. The item for sale is shown in the picture above. Easy, hassle-free. Manufacturer Style: MAKB1522. Nice clean smoke free home Jean are in good shape well cared for please see measurements NYDJ -Not Your Daughters Jean Shorts 4 Straight Size 4 Dark Denim. Condition is Pre-owned. Shipped with USPS Priority Mail. Designer : NYDJ. Details : Very nice pair of blue, denim, jean shorts. Length:25". Inseam:15". Not Your Daughter's Jeans. Light Wash. 19% Polyester. 80% Cotton. NYDJ Catherine Short in Stretch Linen. Black, Women's Size 8. GUC!! We encourage you to use the zoom feature on our photos and we think you'll agree that this is a beautiful pair of shorts that will make an excellent addition to your wardrobe. Cuff - 10.5" Straight across ankle opening of leg. Material: 51% Cotton, 23% Polyester, 11% Viscose, 5% Spandex. -Rise: 10 in. 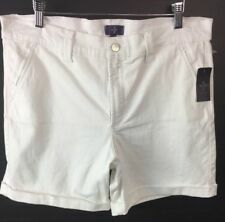 New NYDJ Shape Shorts Curves 360 Bermuda Light Wash Size 18 Cut Off. Condition is New with tags. Shipped with USPS Priority Mail. From a smoke and pet free home! 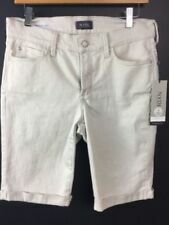 NYDJ not your daughter's jeans denim bermuda shorts size 8 waist measures 31 inches rise measures 9.5 inches inseam measures 10 inches 5 pocket zipper fly 99% cotton 1% spandex 36495. Machine Wash. Grab The Best Deal! We will not be able to change this after checkout has been completed. Button Fly closure. 98% Cotton, 2% Elastane. Total length - 21". Inseam - 10". New without tags. Email me with any questions. I can discount shipping for multiple listings upon request. Pet and smoke free home. Thank you and happy bidding! L00024681012141618202227 in.28 in.29 in.30 in.